Historic Smithville engagement. Photographing at the Towne of Historic Smithville is one of our favorite engagement locations. The setting is romantic and simply beautiful. As couples walk and enjoy the historic grounds, I am there every step of the way photographing special moments between them. A gorgeous lake adorns the entire area and we often use it as the perfect background. There are also paths surrounding the lake and a wood bridge that ties the entire area together. There are so many locations within Smithville that I consider picture-perfect for couples. I try to exploit all the possibilities every time I have an engagement session at Smithville. In this scene the couple were being playful and I captured that moment, which was sweet and genuine. Capturing intimate and loving moments between couples is an emotion that has to be left up to them. No mater how detailed the pose can be, a couple will only shine when they are left to interact with each other, all within a romantic setting. 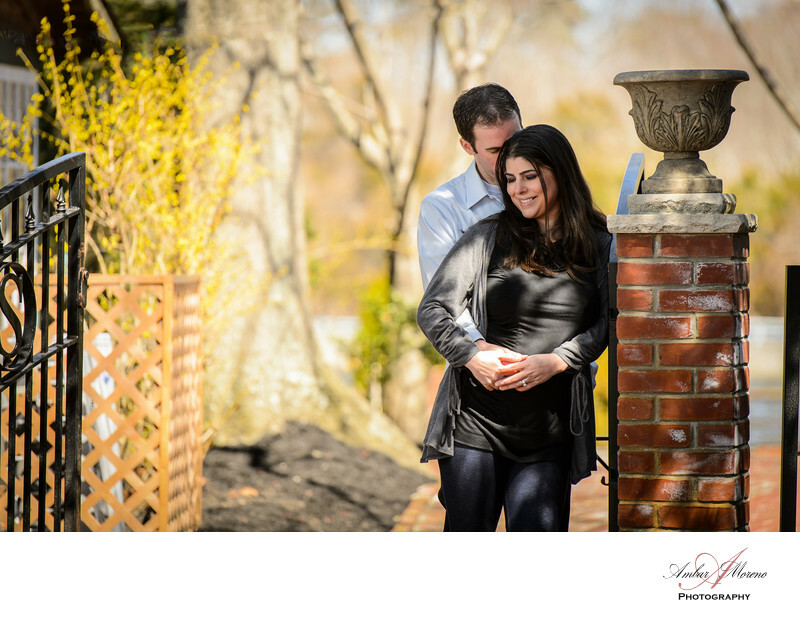 Historic Smithville located in Galloway Township, Atlantic County, New Jersey is a spectacular and friendly location and it lends itself well for any engagement session. The beautiful historic buildings and stores nestled within the vast grounds are perfect backdrops for any photograph. The Smithville Inn, also located in Smithville is an amazing venue for weddings. The courtyard where I have photographed weddings before is a gorgeous setting for a ceremony with the lake and woods as the background. Inside the venue is another beautiful sight to behold. On the one side of the reception area are windows that face the courtyard and the lake. This picture illustrates a perfect moment between the couple and I used my 70-200mm lens as I always do to capture a candid scene. This lens allows me to keep my distance, but yet let me capture the expressions on their faces. Keywords: Engagement (57), Smithville (3).